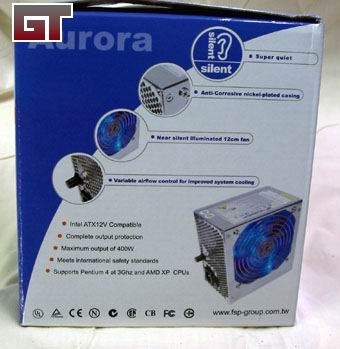 The current trend is bigger and brighter and here is something that fits the bill We have a Fortron Aurora 350W power supply unit with an 120mm lighted fan. 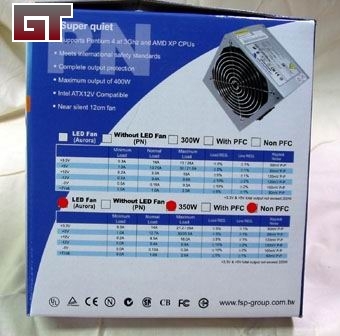 Fortron makes this PSU with several options, you can choose 300 or 350 watt, you can choose to have the lighted fan or not and you can choose to have active or passive PFC (Power Factor Correction). 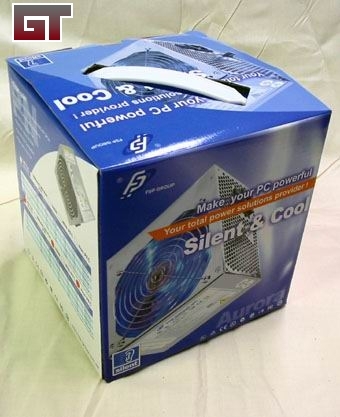 PFC uses a capacitive filter at the AC input to correct poor power factor, but requires manual AC input selection. 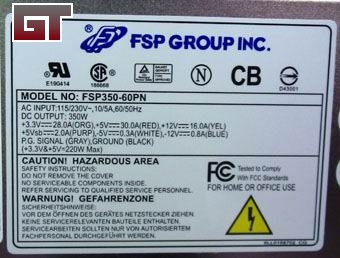 Active PFC on the other hand, uses a circuit to correct power factor, but at a higher cost. Here is the other side of the box. I included it for any additional information that you may be interested in. 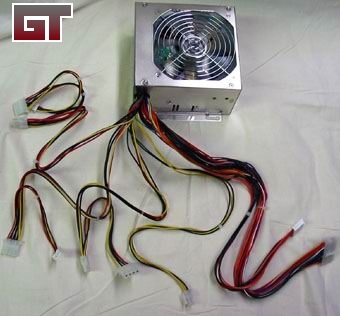 A couple things of note is this PSU is rated for P4's and AMD XP's. 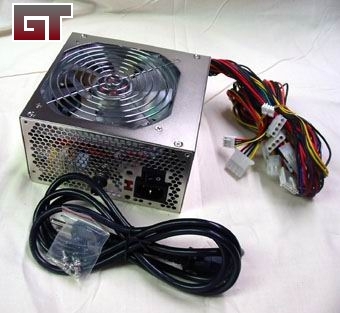 Aside from a full color user manual here is what comes with the PSU. The cables are pretty straightforward: ATX connector, Aux Power Connector, +12V Power Connector that is 4 pins in a square shape, along with plenty of peripheral power connectors and a couple of floppy drive connectors.